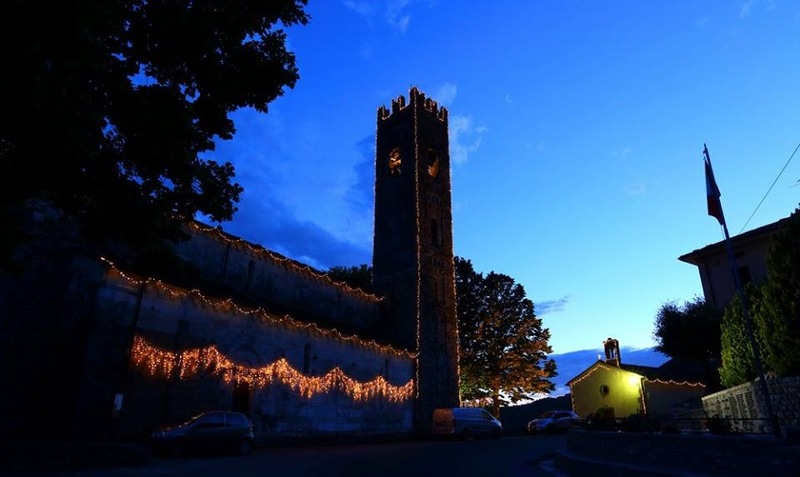 I have to share the beautiful photos by Paul Anthony Davies of the Festa Triennale del SS Crocifisso in San Cassiano. 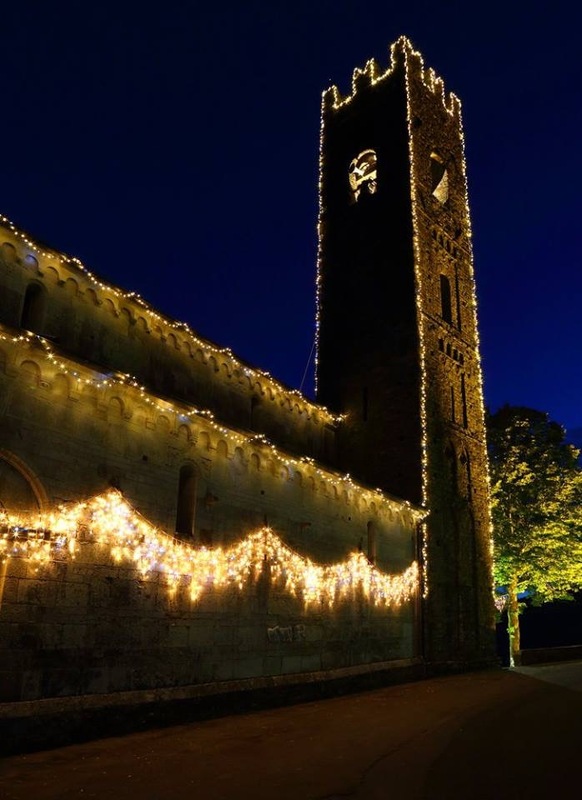 The church looks stunning at night. The street in front of the church down to Santina’s restaurant was lit up too. The interior of the church is magnificent. What a wonderful event! There are 25 villages that make up Bagni di Lucca. There is always something happening. 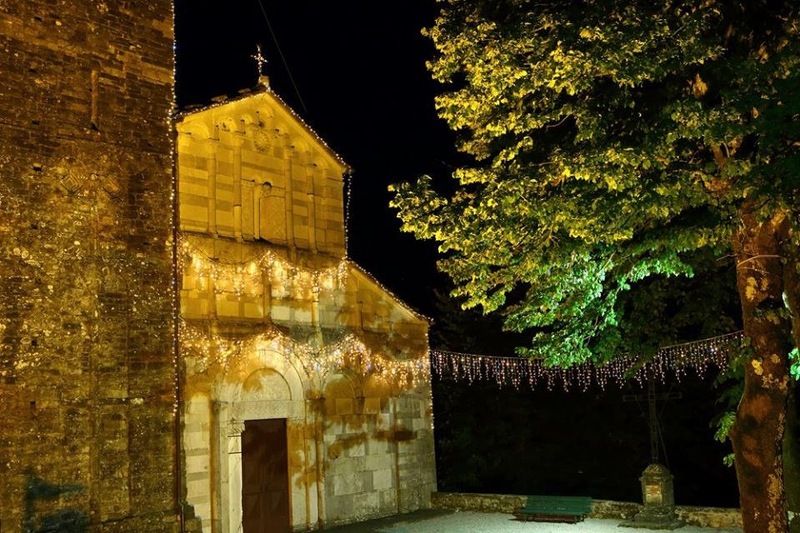 This entry was posted in The villages of Bagni di Lucca, Things to see and do and tagged Bagni di Lucca, Festa Triennale del SS Crocifisso, Italy, local events, San Cassiano, travel, Tuscany by Debra Kolkka. Bookmark the permalink. It is indeed wonderful, great photos. Beautiful photos, Paul. Thanks for sharing. The lighting in the church is fabulous. 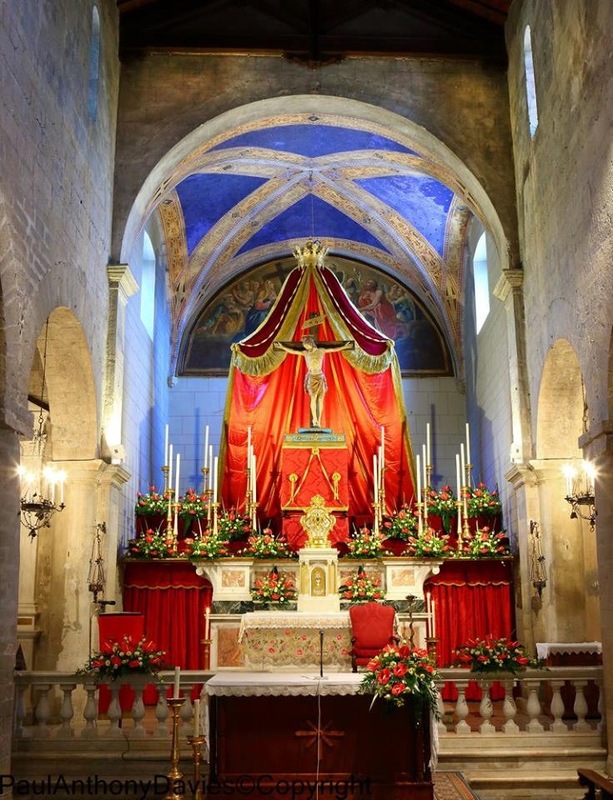 Sorry, but it does not take place in San Cassiano di Controne, but the main parish in Bagni di Luca, San Pietro in Corsena. 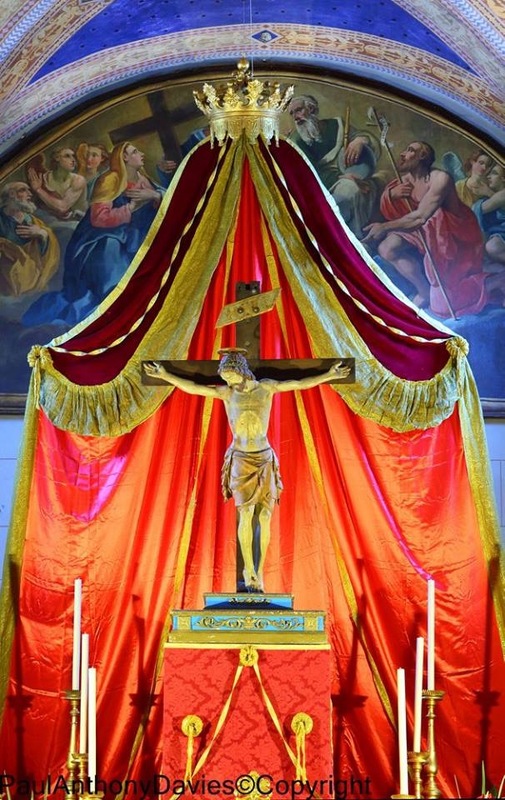 I have attended these on a couple of occasions as it takes place every 3 years following a promise made by the locals during WW2 to the Holy Crucifix, requesting that the town be spared from destruction, as the Nazis, in their retreat, were blowing up all the towns. They tried to blow up the Ponte Nuovo, well, not that new as it was built in 1833 to replace the Ponte Vecchio, a bit further up the river, but they were not very successful. 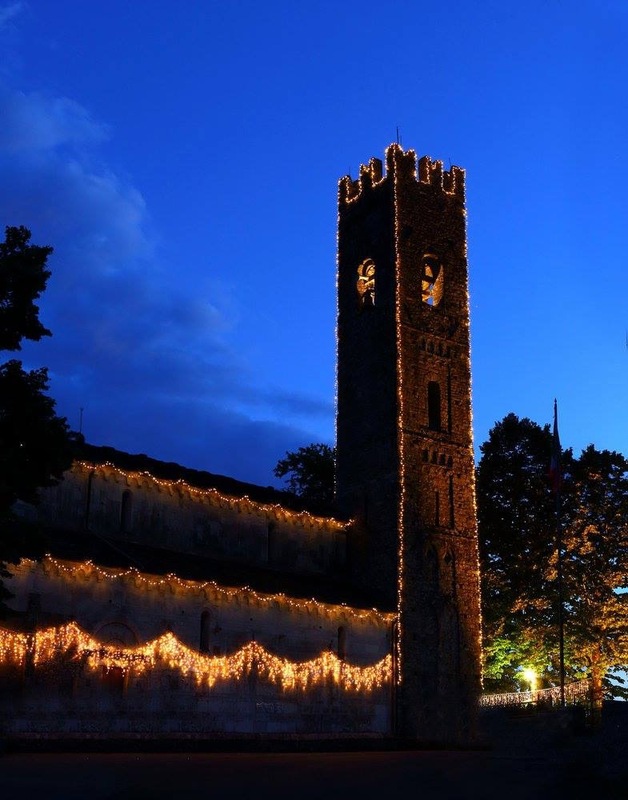 Ever since, the town celebrates this “luminaria” with a candlelight procession that goes from San Pietro to the small church of the Sacred Heart downtown, opposite the Countess Casalini park.. people follow the solemn procession carrying candles and praying and all the houses are decorated with candles. Generally, the Bishop comes for the occasion. 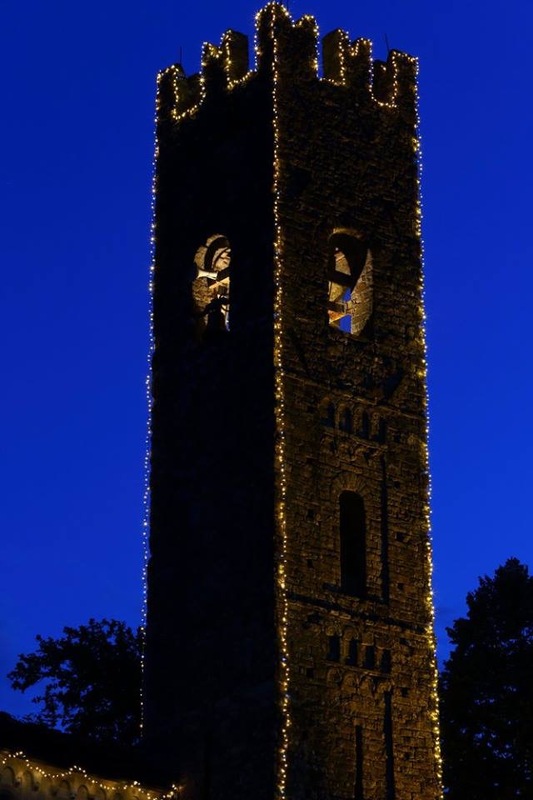 It reminds me of the luminaria of the Santo Volto in Lucca. Do not miss it next time! Beautiful photos, Paul, thank you! I have added the flyer for the event, perhaps I have missed something in the translation. Unfortunately I am never in Bagni di Lucca at this time of year, so I can’t be there for the event. Sorry, it looks as if this year it was celebrated in San Cassiano, at least from the flyer, which I overlooked. 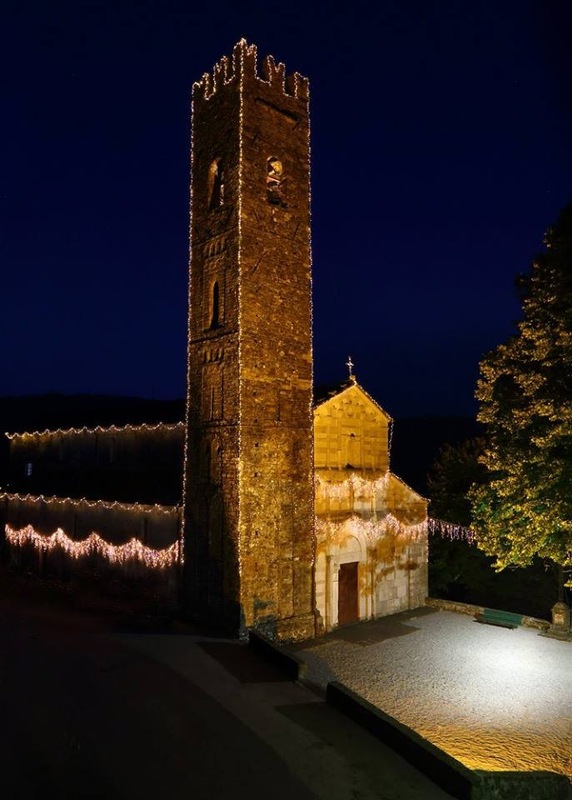 The two churches have similarities, but I am surprised, because the triennial ceremony has always taken place at San Pietro, as it was the original promise… also, it is a beautiful sight to watch the procession coming down the hill illuminated by candles up to La Villa. 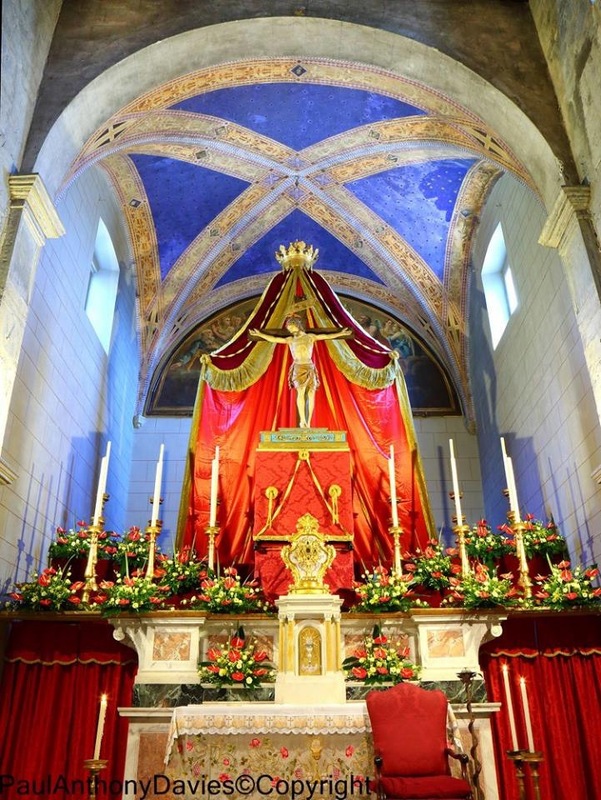 Perhaps the parish priest has decided to vary the churches to give more participation….. but I think that they should comply with tradition. 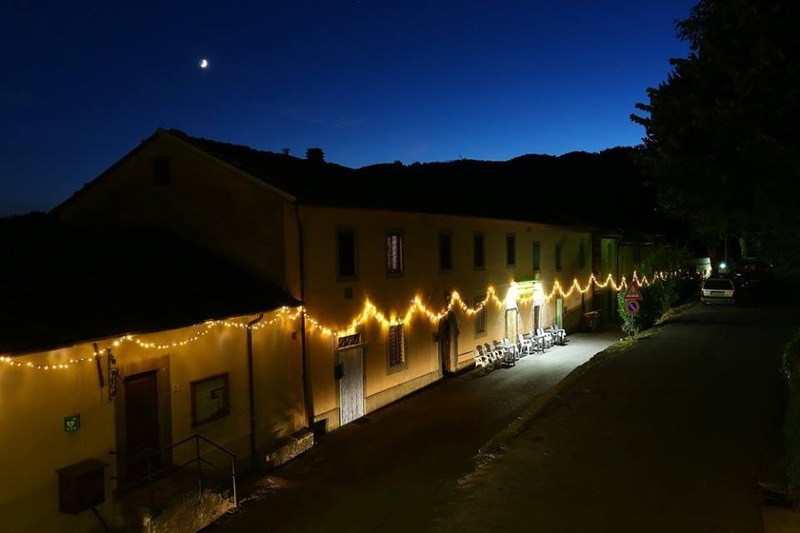 A friend from Bagni di Lucca has emailed me to say the festival has happened for along time in San Cassiano, do perhaps they are different events. Fantastic photos Paul…thanks for sharing Deb. Isn’t it beautiful, the interior of the church is superb. 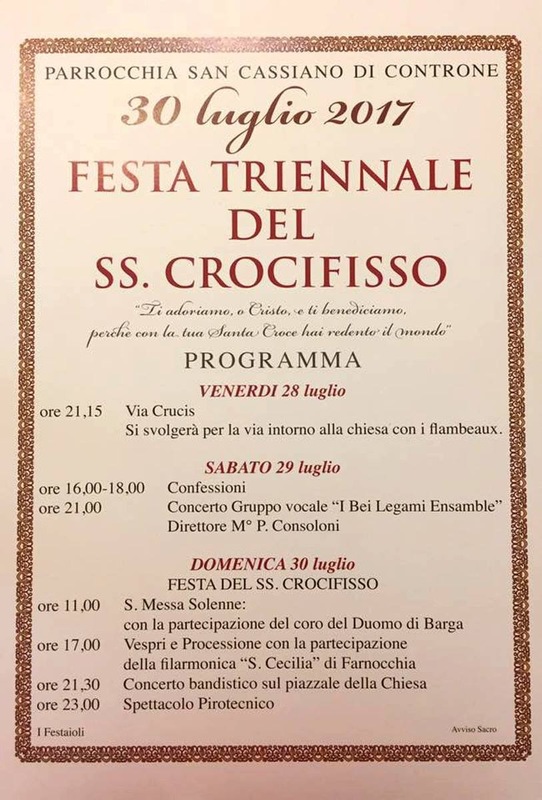 What is Crocifisso? It us gorgeous. I think it means crucifix.